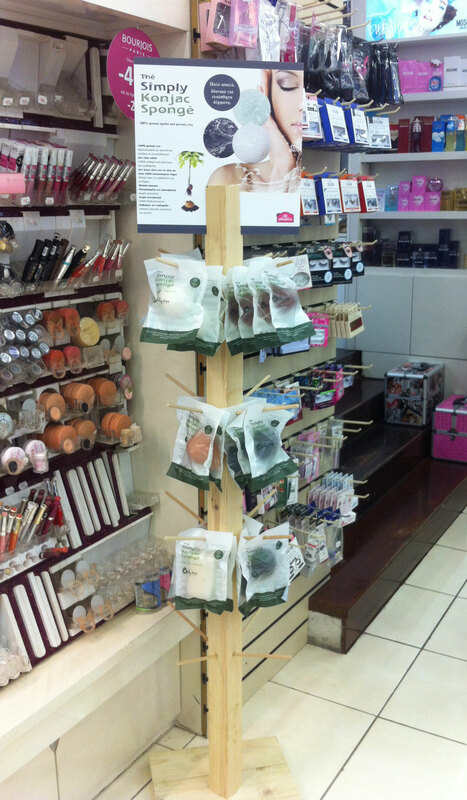 THE SIMPLY KONJAC SPONGE – Natural Vegetable Fiber Puff… Only in Jeju, S. KOREA! THE SIMPLY KONJAC SPONGE’s material, konjac powder, consists of glucomannan, which is 100% natural vegetable fiber. THE SIMPLY KONJAC SPONGE is made with 100% konjac powder, no preservative, no coloring and no chemical additives. Thanks to THE SIMPLY KONJAC SPONGE’s unique net-like structure with good porosity, it is very soft and good to retain water and works very well to form bubbles or foams for more effective cleansing, gently exfoliating & moisturizing effect. So, it is best for both facial cleansing and body washing purposes. It is 100% natural vegetable fiber sponge, there goes too much difference between THE SIMPLY KONJAC SPONGE and those chemical or synthetic sponges. 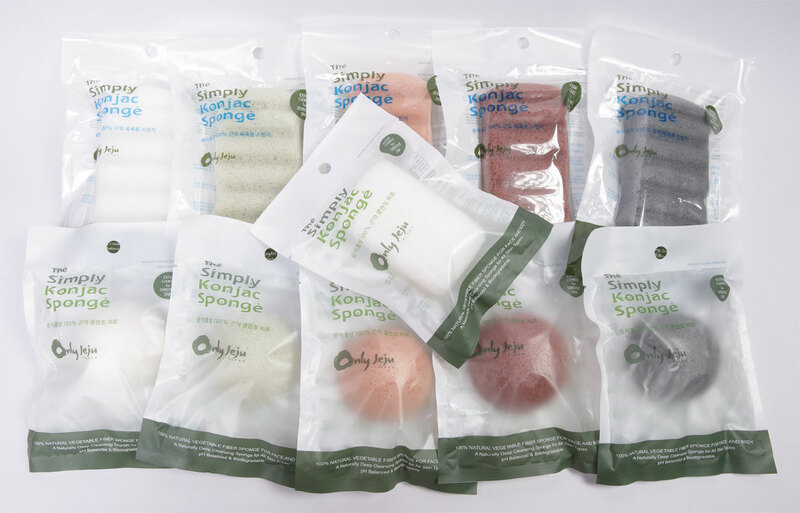 THE SIMPLY KONJAC SPONGE is the softest sponge out of all sponges on the market. THE SIMPLY KONJAC SPONGE or Puff is naturally weak alkaline; it neutralizes the acidic substance on skin by the layer of water between the sponge and the skin. The layer of water is available due to its excellent water retention and absorption capability of the THE SIMPLY KONJAC SPONGE or Puff. Because of its unique net-like structure, it not only gives massage effect on people’s skin, which improves blood circulation, but also removes dirt from the skin even in the skin pores easily and gently. In addition, it works very well with non-foamy cleanser due to its porosity and thus, water retentions, it makes bubbles or foams for more effective cleansing & moisturizing effect.